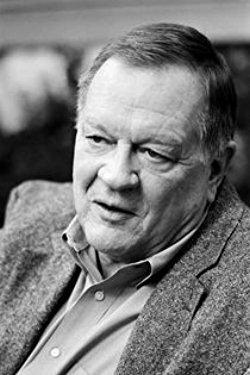 “`Richard Schickel was the prolific critic, and best known for his four-decade tenure as a movie reviewer at Time Magazine. In addition to authoring more than three dozen books and biographies about actors, directors, and musicians, he also directed a number of documentaries for television. “`Schickel (right) attended the University Of Wisconsin–Madison on a journalism scholarship, before moving to Los Angeles in his early 20s. In 1964, he was a recipient of a Guggenheim Fellowship; and the next year, he began writing his reviews for the weekly Life Magazine. After Life folded in 1972, Schickel moved to Time, where he remained until 2010. Richard’s long career as a weekly film reviewer ended with a brief stint on the website, Truthdig. “`Despite his longtime association with one of the county’s most famous magazines, Schickel was arguably best remembered for documentaries on filmmakers; segments that he directed for PBS, and other networks; and his popular bio’s about Douglas Fairbanks, Charlie Chaplin, Harold Lloyd, Lena Horne, James Cagney, Gary Cooper, Cary Grant, Woody Allen, Elia Kazan, Humphrey Bogart, Marlon Brando, Clint Eastwood, and Walt Disney. His most acclaimed work was D.W. Griffith: An American Life. “`A devotee of Hollywood’s classic studio era and the maverick directors of the 1970s, Schickel positioned himself as a critic who chronicled the changes to a more rebellious screen era of the 1960s and 1970s. He estimated that he had seen over 22,000 motion pictures, beginning with Disney’s Snow White and the Seven Dwarfs. He loved Citizen Kane, but felt The Maltese Falcon was cramped and static. Bonnie and Clyde was a game-changer that he championed. “`Late in life, Richard would often lecture at University of Southern California’s School of Film and Television and Yale University. Schickel was my personal go-to biographer for info that I compliled for my Forgotten Hollywood Book Series. This entry was posted on Monday, February 20th, 2017 at 8:28 pm	and is filed under Blog by Manny Pacheco. You can follow any comments to this post through the RSS 2.0 feed. Responses are currently closed, but you can trackback from your own site.